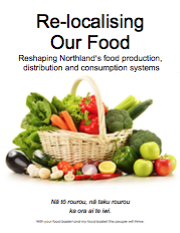 This document explores the shift from industrial food systems to sustainable food systems and how this might happen in Northland. Options identified include food hubs, developing a regional food plan and working at influencing food related policy. Our Food Story identifies the links between components of Northland’s food system and surfaces exciting opportunities to reshape the system to generate clear economic and social benefits for the region. This document explores the imperatives for food system reform. It anticipates redesigning these systems to create an environment more supportive of local growers that in turn helps to reinvigorate rural communities, make local food more readily available. Better health outcomes will follow as fresh local quality food is more readily available. The current thinking for increasing the economic wellbeing of Northland tends to focus on increasing exports and tourism and attracting investment from outside of the region. But what if there is a different path to have a vibrant economy with full employment? 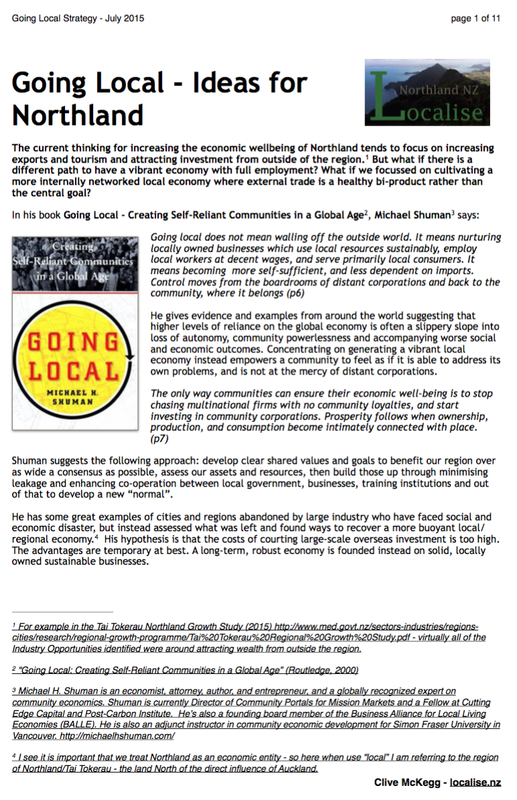 What if we focussed on cultivating a more internally networked local economy where external trade is a healthy bi-product rather than the central goal? 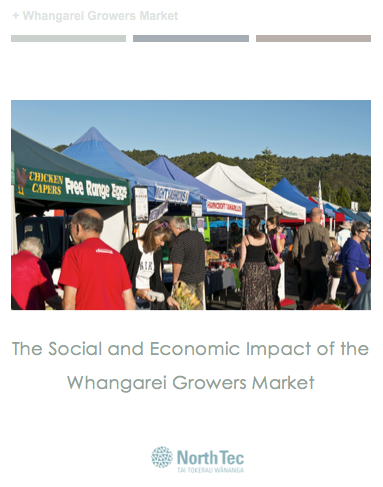 The Whangarei Growers Market is a community asset. Its turnover of $3.66 million creates an additional $5.84 million dollars of activity for the Northland economy. Ninety people are directly employed with a further 22 through downstream impacts. These economic impacts are perhaps less significant than the social impacts of the market. Customers appreciate the quality of food on offer, including its freshness and the availability of spray free or organic produce. The “atmosphere” of the market is also appreciated. With the growing awareness of the contribution of fresh fruit and vegetables to health, the market provides a resource regarded as a vital component of the local health network.